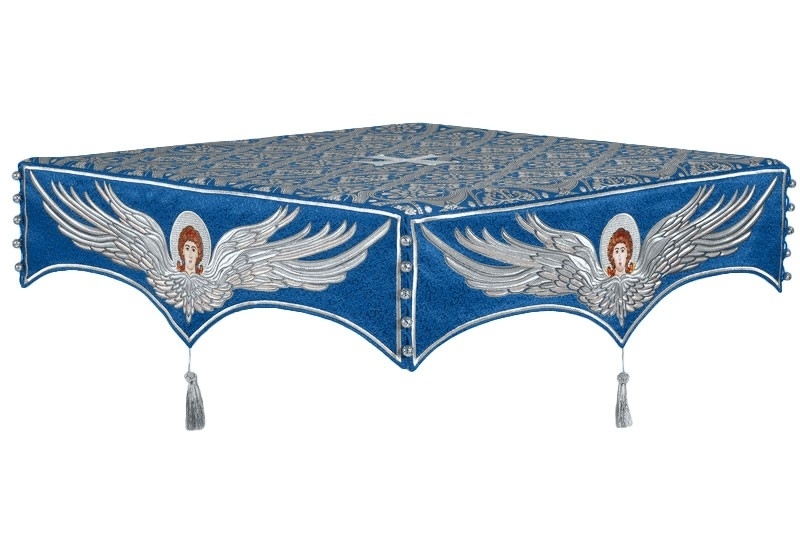 Istok Church Supplies makes it easier for customers to shop for Holy Table covers in various color combinations, including blue-silver. 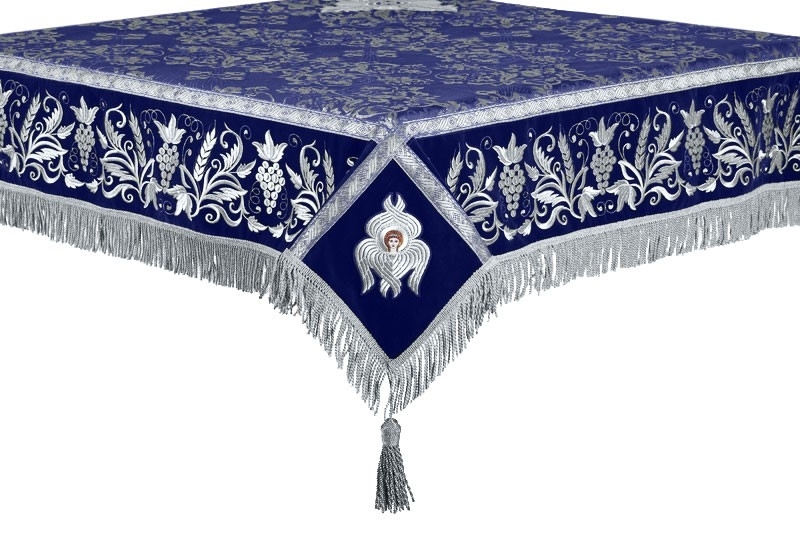 Our premium range of blue-silver Holy Table covers are made from magnificent liturgical fabrics and come with high quality workmanship. In an Orthodox Christian church, the Holy Altar is a sanctuary in itself and the Holy Table a representation of the Throne of Christ. Hence, the Holy Table cover must be chosen after due consideration. 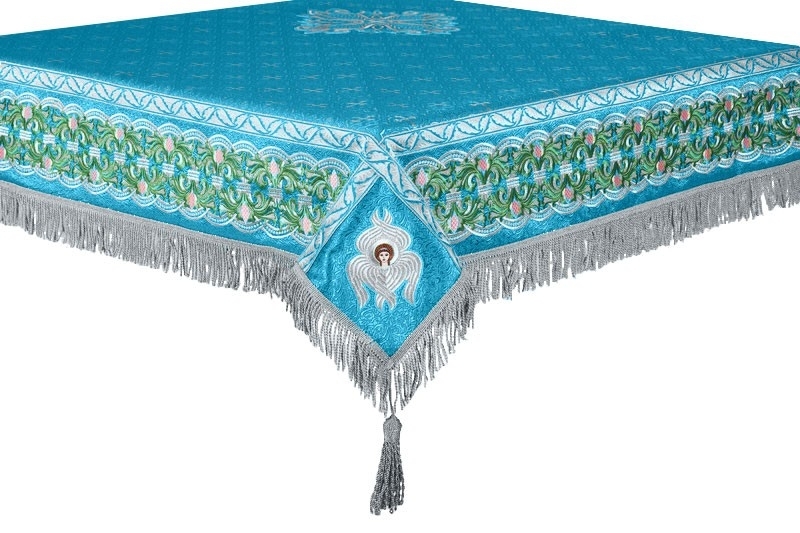 We offer Holy Table covers in four attractive fabrics – rayon brocade, metallic brocade, silk and embroidered fabrics that feature diverse Christian inspired patterns. 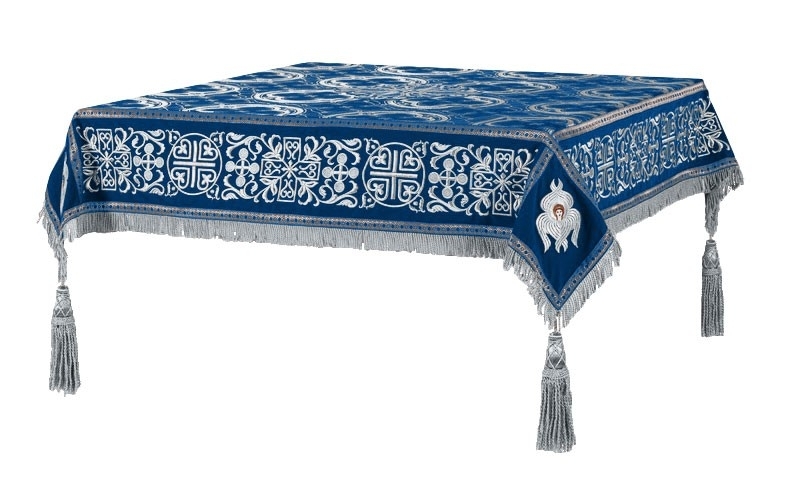 Customers can be assured of long lasting durability when they choose one of our Holy Table covers. We take care to create Holy Table covers that comply with church guidelines. 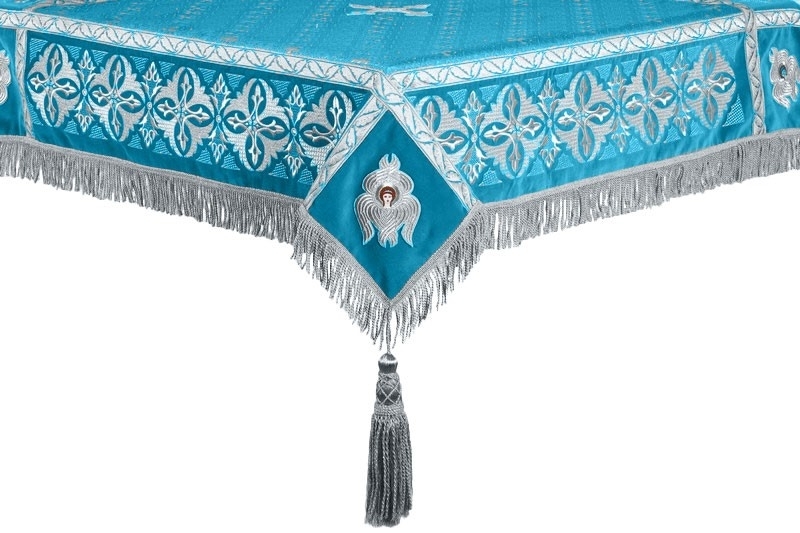 Our blue-silver Holy Table covers are ideal for services conducted in honor of the Most Holy Theotokos. For Holy Table covers created from silk, rayon and metallic brocade, we offer two decoration options – standard and premium. While standard decoration is provided free of cost, premium decoration is available for an additional cost. Customers also have the option to add natural velvet inserts to their order for an additional cost. 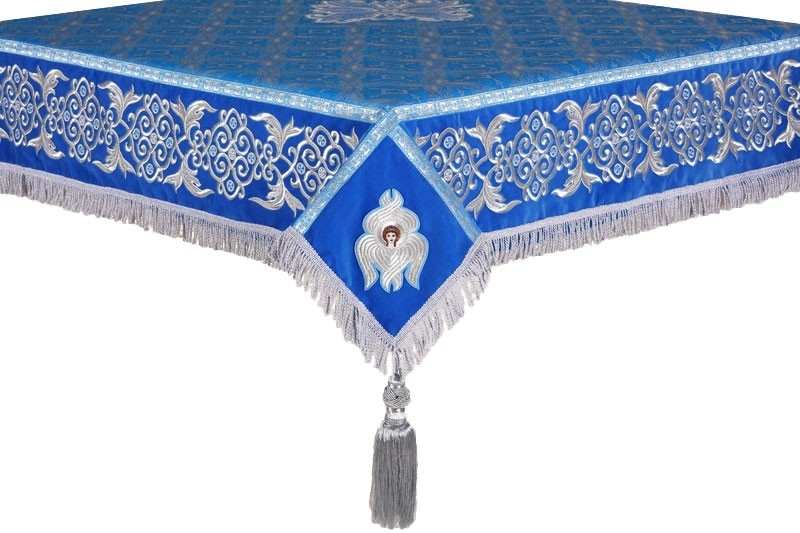 The blue-silver Holy Table covers we offer are created by expert craftsmen at our workshop in Europe. We offer a plethora of shipping methods including RPS Registered Air, EMS Express, UPS, Air Cargo and TNT. Customers have the option to pay with credit card, PayPal, WesternUnion, Business Check, and Government Check, Traveler’s Check, Money Order or Wire transfer. During the checkout process, customers can apply a coupon code and make use of the Customer Notes section to provide specific order instructions. 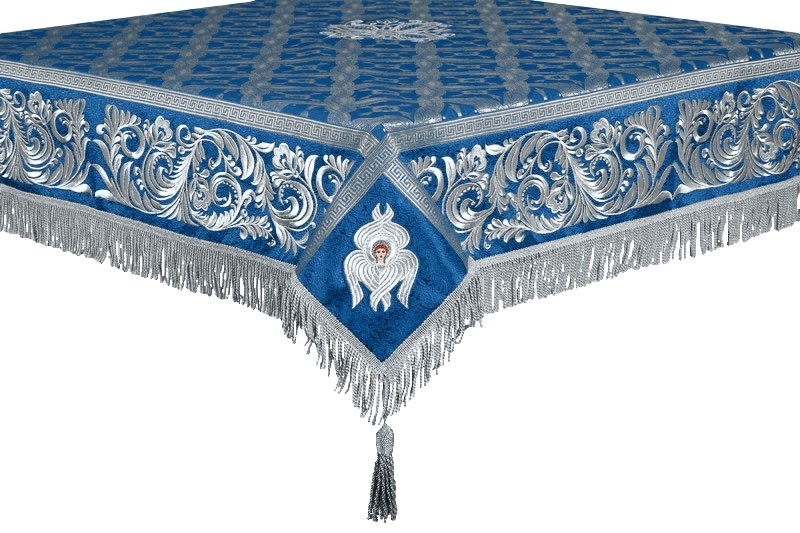 We welcome customers to browse our selection of blue-silver Holy Table covers and sign up for our newsletter for news on latest products and special offers!